This item is in stock and will ship the same day (Monday  Friday) when the order is placed before 2:00pm PT (5:00pm ET). The InSinkErator Badger Series garbage disposals are a reliable and functional choice when affordability is the prime concern. 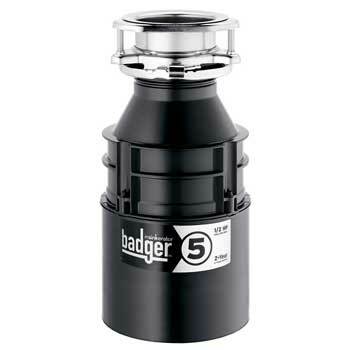 Choose from three Badger series garbage disposal models, each with a space-saving compact design. The Badger 5 has the following Specifications. Shipping Weight (Approx. ): 14 lbs. 11 oz.